Here is a musician who knows how to shake up industrial stereotypes and rearrange familiar electronic sounds into a fresh approach. 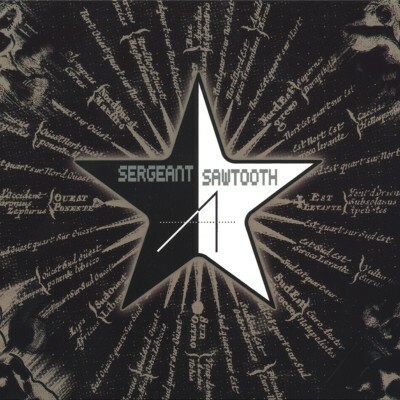 Sergeant Sawtooth is the latest project of Rob Robinson, who is known for his work with Kevorkian Death Cycle and Bol. Mescaline skillfully bridges glitchy textures, ambient drones and clicky electronics into a cohesive work. Crackling and strings set the tone on “Psilocybin I” then melt into static sweeps on “Soma.” With each track, your mind is taken on a trip though abrasive snaps and delicate movements. The last thing I expected to hear on Mescaline was vocals, but after listening to the robotic lyrics of “Years,” I am convinced that it’s a crucial element contributing to the diversity and emotional impact he makes. “Mescaline” is a favorite with its flowing synths and stripped-down crunchy hits. A synthpop remix of “Years (SubImage flies out of Butte, MT mix)” by SubImage seems unusual, yet comes as no surprise as not one genre can be identified. Add to that two more remixes with funny titles and you have completed a journey that is fit to be a soundtrack for a beautiful film with complementary visuals.